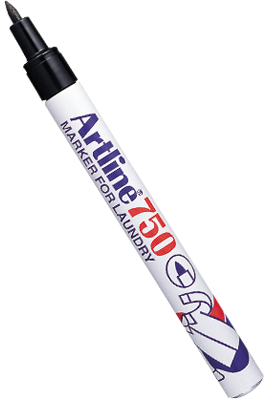 The ink in the Artline 750 will withstand repeated washing with detergents, hot and cold water and is resistant to dry cleaning. Ideal for marking any type of cloth, linen, clothing etc. 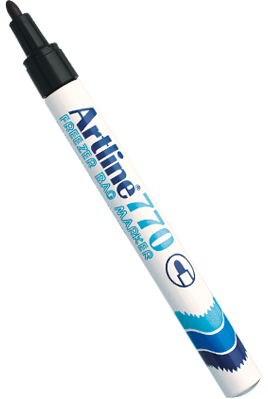 The Artline 770 cuts through greasy surfaces for clear marking and is suitable for use on all plastic surfaces, especially frozen food packages. 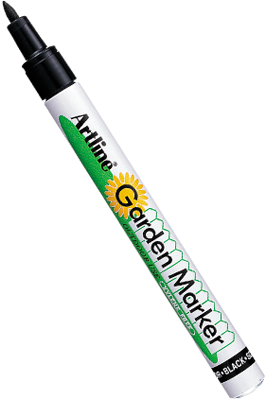 Suitable for all types of permanent marking, the alcohol based ink in the Artline 780 is water resistant, making it ideal for use both indoors and outdoors. 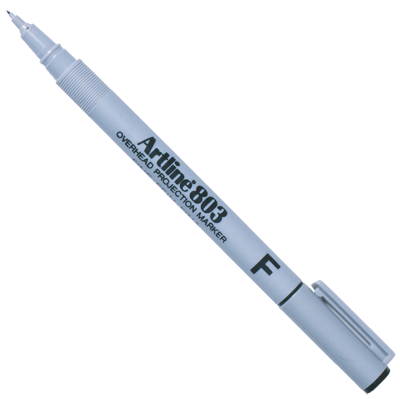 The fine nib makes it suitable for marking plastic plant containers, labels/tags, metal, glass, wood etc. 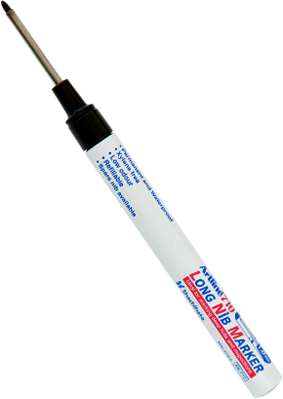 Unique, xylene free permanent marker for wet surfaces. 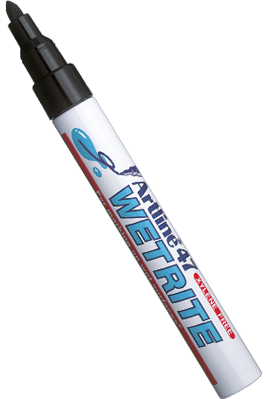 The unique ink formula in the Artline 47 allows for clear marking of wet non-porous surfaces such as metal, plastic, styrofoam, etc. even if underwater. Marking becomes permanent as soon as it is exposed to air, ideal for use in wet environments such as fresh food packaging, fish markers, building trade, marine industries etc. Ideal for marking deep holes and hard to reach places. The alcohol based permanent ink is instant drying on all surfaces. 30mm extra long nib and 1mm width. Overhead projection pens for use on plastic film. Available in permanent and water soluble. Water soluble can be erased with a moist cloth or tissue. Xylene free.